From Pope Francis to Phil Robertson: Why are some people of faith generous — while others are nuts? Excerpted from "We Are Our Brains." Dean Hamer believes that he has identified the gene that predisposes our level of spirituality, as he describes in "The God Gene" (2004). But since it will probably prove to be simply one of the many genes involved, he’d have done better to call his book "A God Gene." The gene in question codes for VMAT2 (vesicular monoamine transporter 2), a protein that wraps chemical messengers (monoamines) in vesicles for transport through the nerve fibers and is crucial to many brain functions. 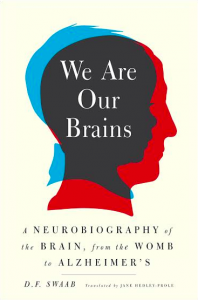 Excerpted from "We Are Our Brains: A Neurobiography of the Brain, From the Womb to Alzheimer's" by D. F. Swaab. Copyright © 2014 by D. F. Swaab. Excerpted by permission of Spiegel & Grau, an imprint of Random House. All rights reserved. No part of this excerpt may be reproduced or reprinted without permission in writing from the publisher.